To make things easier for you, below is a quick navigation table of content. Just click on the questions you need answers to and you'll be "automagically" taken to the answer. Frequently asked questions about Indomie noodles. What Is Indomie Noodles Made of? Does indomie noodles make one gain weight?/ is indomie fattening? Does Eating Raw Indomie Cause Cancer? Is indomie noodles good for a pregnant woman? Indomie is a brand of "pre-cooked" noodle, which is sold in individual packets. Each packet contains a square-shaped block of dried noodles and a packet of seasoning and(or) oil. You can cook or soak the block of noodles in hot water with the seasoning before eating it. Although there are many other brands of instant noodles in Nigeria. However, Indomie is the most popular of them all. It is interesting to know that Indomie is own by an Indonesian company (Indofood) and it is distributed in Australia, Asia, Africa, New Zealand, United States, Canada, Europe, and Middle Eastern countries. RDI means Recommended Dietary Intake. And note the RDI values are based on 2000 calorie diet. Your daily values may be higher or lower depending on your calorie needs. NB: These are "indomie chicken" calories. So, that means the calorie content of the additional oil that comes with other flavours is not accounted for. 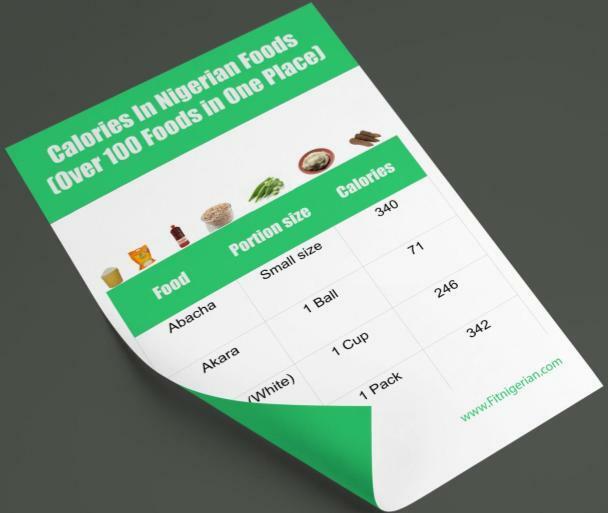 Cool Bonus: DOWNLOAD FREE PDF of Calorie content of over 100 more Nigerian Foods and drinks. Here is the complete list of ingredients used in making Indomie noodles. After the noodles have been made in the factory, they are then steamed, dried and packaged (1). Eating indomie does not directly cause you to gain weight, BUT it can Indirectly cause you to. You see, indomie is a bit high in calories, low in protein and very low in fibre. That simply means that eating a noodle won't make most people full for long. And if you happen to eat more than one or one of the other big papa sizes, you'll still be hungry again in no time. And this can lead you to consume more calories than you need, which will cause you to gain weight over time. The quick and straightforward answer is NO. So, why is indomie noodles harmful? Well, there are many reasons it can be bad for your health. Low in nutrients: Most of the calories in indomie comes from refined wheat and oil. And they contain a low amount of vitamins and minerals. Contains too much sodium: Indomie contains a high amount of sodium content (salt). As it is, we already consume more than enough sodium already from eating too much processed foods. And a high sodium diet increases your risk of having high blood pressure [source]. Contain MSG: MSG or monosodium glutamate (E621) is a common food additive found in many processed foods. It's used to enhance flavour. You see, MSG can cause an adverse reaction including headaches, nausea, asthma, hives, swelling, and nasal inflammation in some people. Also, some research has linked MSG to higher risk of metabolic syndrome in women. In essence, the effect of indomie on human health can be bad when eaten too much. Unfortunately, eating noodles can increase your chances of getting cancer. You see, the main ingredients and chemical preservative in noodles can become "more" toxic in the body if they are not boiled before eating. They can trigger cells to grow abnormally, which slowly turn into cancerous cells. Some other effects of eating raw indomie includes tooth decay, constipation, sore throat and more. If you must eat noodles, it's best you cook them before eating. The brief and obvious answer is NO. As a pregnant woman, eating whole nutritious food is of utmost importance for proper baby development. And as we know, noodles are low in nutrients and full of refined ingredients and chemical additives. This is not just my opinion. Many medical experts also advice against eating noodles while pregnant. And if you must eat noodles, make sure you add vegetables and a good protein source to it. The simple trick to make your noodles healthier and less fattening is simply to eat half the noodles you normally eat and throw in some veggies and a good protein source. This helps to reduce the number of calories and boost both nutritional value and the feeling of fullness. Also, Skip the oil. No need to add any more oil because indomie is already produced with a lot of oil. Add about 2 glasses of water into a pot and let it boil. Place a frying pan on high heat, and add in your coconut/olive oil. Add your shrimps into the frying pan and let all sides cook for about two minutes. Then add in your chopped onions, tomatoes, pepper, carrots and green peas. Stir-fry for another minute, then add in noodle seasoning and then your boiled noodles. Mix everything thoroughly and then serve. You can substitute the vegetables with any other vegetable of your choice. Eating Indomie (or any other instant noodles) every once in a while is perfectly okay. Just don't eat them too much and too often because they are low in nutrients and can have a negative effect on your weight and health. Also, when eating your noodles try to toss in some veggies and a high-quality protein source to bump up the nutrition profile. You can check out the recipe above for inspiration. Where Should I send Your Free PDF Download?